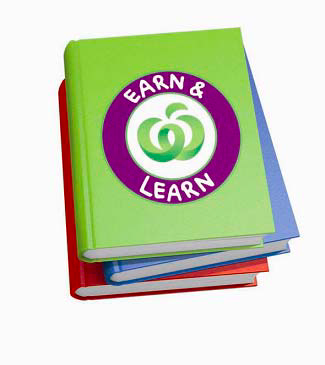 From now until 18 Sept, Woolworths will give customers one Earn & Learn point for ever $10 they spend at Woolworths (Excluding purchases of cigarettes, alcohol and gift cards). Points will automatically appear on your shopping dockets, which you can then bring in to the office here at Galen. Parents and kids can go to www.woolworths.com.au/earnandlearn to see how well we are doing. Once the program ends, the school will be able to redeem the points for a huge choice of educational resources including library books, mathematics, science & robotics, classroom equipment, art & craft materials and much, much more. So if you shop at Woolworths/Safeway, collect your dockets and bring them in to the Front Office to help us earn fantastic learning resources!